FAYETTEVILLE, Ark. – University of Arkansas students, faculty and staff who want to renew their permits to park on campus this year can do so online at any time. Current permits expire on Aug. 31. New students, faculty and staff who want to buy new parking permits can also do so online now, as long as they are listed in the campus Campus Directory. Permits will be mailed to applicants’ home addresses, which usually takes three-five business days. If a permit hasn’t arrived by Sept. 1, drivers can print their permit receipt and put it on the dash of their vehicle as a temporary permit until the annual permit arrives. New permits are valid until July 31, 2019. 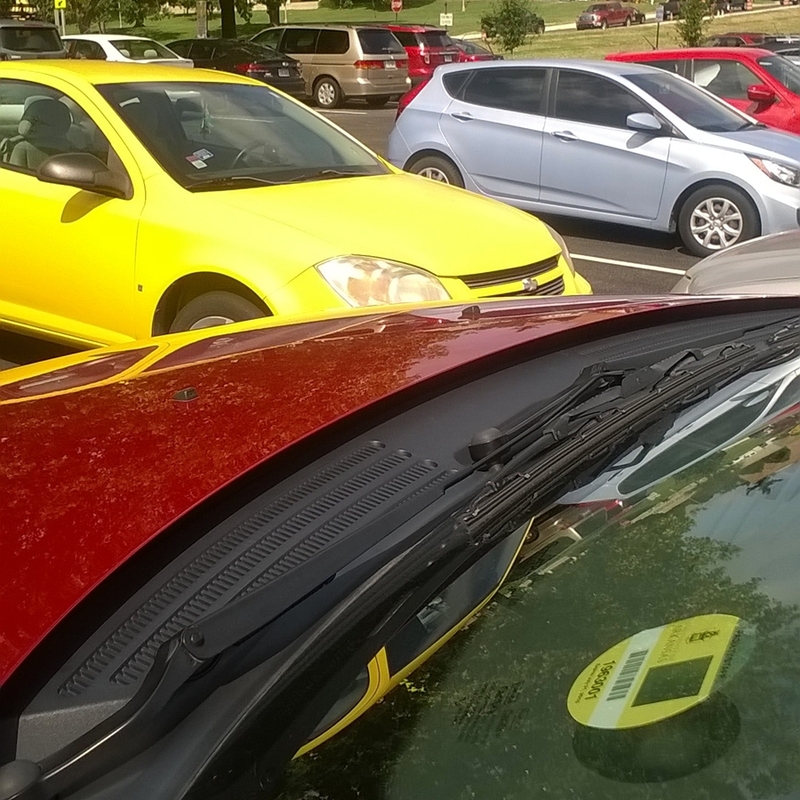 The university will not use license plate recognition technology this academic year and will continue the use of parking stickers and printed tickets for now. Everyone returning to campus will find changes to various parking lots, primarily the result of continuing construction on campus – but some of that construction has also created additional parking on campus. An updated parking map is available here. Lot 99, located on Beechwood Avenue northwest of Baum Stadium, has been resurfaced and will hold an additional 1,000 spaces for remote parking. Over 600 of these parking spaces will be available on Friday, Aug. 17. The remaining spaces will be available by Friday, Aug. 24. Remote parking permit holders, and anyone else with a U of A parking permit, may park there. Vehicles that are legally parked in Lot 99 do not have to be moved for university athletic events. In addition, this lot will be served by a Razorback Transit bus every 14 minutes during peak periods. There is no longer any student parking north of Maple Street – except for resident reserved lots, which require a red permit. There are also new resident reserved lots along Douglas Street. Most student parking lots are west of Razorback Road and south of Bud Walton Arena. A small number of student parking spots are still available near the West Avenue Annex, in lot 53. Lot 78 and 78A, located on the south side of Douglas Street between Whitham Avenue and Gregg Avenue, are designated for faculty and staff with a yellow permit. Lot 38, between Maple Street and Douglas Avenue, has been upgraded to provide more parking for faculty/staff yellow permit holders. Lot 54, on Martin Luther King Blvd. west of Razorback Road is being reworked and expanded to provide more faculty/staff parking. Lot 44, north of Reynolds Razorback Stadium, has been resurfaced and reconfigured to primarily provide faculty/staff parking. Lot 29, north of Maple and behind the Pat Walker Health Center, has been resurfaced and will remain an area designated for reserved permit holders. Lot 38, between Maple Street and Douglas Avenue, now provides parking for reserved permit parking. A portion of Lot 44 is also set aside for blue reserved permit parking.